Our beeswax wraps are made from New Zealand beeswax, coconut oil and tree resin. 1 large, I medium and 1 small wrap. Large wraps are 35cm x 38cm , they are perfect for wrapping 1KG blocks of cheese, large BBQ bowls. Medium wraps are 26cm x 33cm , which are suited to sandwiches and smaller bowls. Small wraps are 21cm x 21cm, and are excellent for off cuts of cheese, avo’s and lunch box snacks. 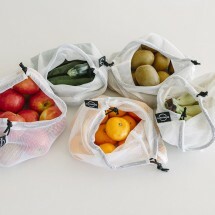 At Earthware we produce reusable products to reduce the use of single use plastic in your everyday life. This product is dispatched to you by Earthware. Would you like to change delivery destination? No more Gladwrap or Clingfilm needed with these little gems! Handmade by Earthware here in Aotearoa!